The information issued by South Korea, North Korea has again tested the ballistic missile setting aside the warning of international community’s including America. America has warned to take retaliatory action against North Korea. North Korea has tested 9 times ballistic missiles since President Donald trump came in power. Pentagon has also confirmed the missile tested on Saturday by North Korea. According to CNN, North Korea has tested its ballistic missile KN-17 through mobile; the trajectory did not reached to Japan sea. Dave Benhalm, spokesperson, American pacific command, said North Koprean balistics missile has been launched on Saturday morning 10-33; however there is no reaction from North Korea. the missile test which has deepen the tension with America has grown the concern at international level. 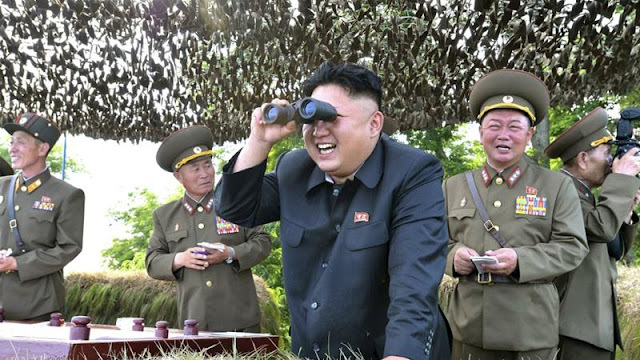 the missile was tested from the province Pyongan situated North of capital Pyongyang. 12 days ago Korea had tested another missile. the country had asserted in UN that it would remained missile test continue every week. Donald trump tweeted: North Korea disrespected the wishes of China & its highly respected President when it launched, though unsuccessfully, a missile today. Bad! It indicates that America is trying to attract china in its favour saying. According to the information, the test was failed. America, recently deepen tension, can take armed action over North Korea against this step. Donald trump has stated openly premonitory that the dictator Kim Jong-un became the cancer for the world must be treated. The statement of American president cannot be taken lightly. Trump has cleared that there will be intense fighting between America and North Korea. Moreover American foreign minister Rex Tillerson has even said that America is intending to war with North Korea. America can take armed action in reply to North Korean missile test. North Korea has warned of atomic warfare.